Dirt is regularly added and rarely removed. 87 E28 tail light bulb holders for brake lights etc. Sam i should be able to help with some, if not all of the things you need. Welly based. Might be worth bringing the car over and putting it on axle stands and having a look. Can do. 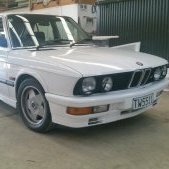 2004 M54b30 with all ancillaries, ecu loom, 120km and ZF gearbox with a full manual conversion and a brand new single mass flywheel and clutch. For the record I was driving from Hokitika to Wanaka a distance of 419km. No places in between where I can get a tyre for the M3. Worrying about bloody run flats ruined the trip. Accomodation is hard to get as well if I have to camp up and wait for a tyre to arrive. I could have ended up stuck in the middle of nowhere. Tow truck fees in remote areas are also high when long distances are involved. BMW response is no worries . 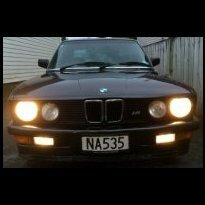 The thing about BMW in my opinion is they never listen to any concern I have and I am always wrong. The discount I get offered is piss poor, 10%, and I shouldn't be worried about run flats not being available when going on a long trip. 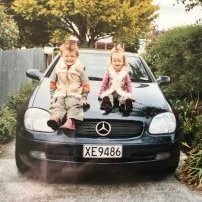 I have bought cars from them costing around $200,000. I find BMW worse than any government department to deal with. The good thing is that there are a variety of ways to get BMW cars and parts at much better rates. If BMW ever decide to treat me with a little respect I will do a lot more business. It's pretty simple really.